Japanese people love to decorate something cutely such as decorated Bento as based on anime characters and their own cell phone with gorgeous ornamentation. 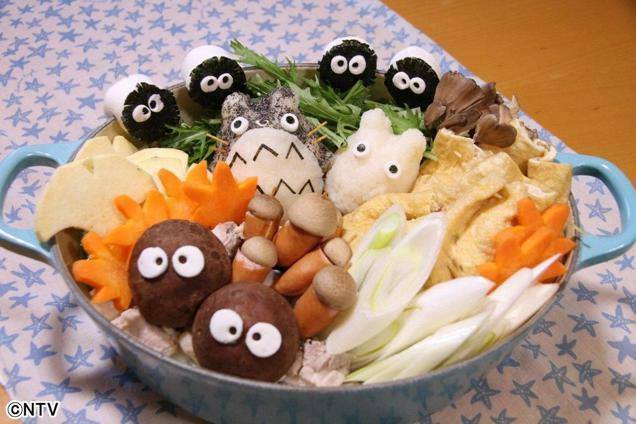 Now it is becoming very popular to decorate Nabe (Hot pot) as based on popular anime characters cutely. Please see the pictures below. Can you even eat these cute nabes? ?